3 Schlafzimmer Cottage. In der Nähe von Moor und Stränden. Hunde erlaubt. Dieses ehemalige Bauernhaus aus dem 18. Jahrhundert ist der ideale Ausgangspunkt, um South Devon zu erkunden. Die Strände von Teignmouth / Torquay sind 5/7 Meilen entfernt und der wunderschöne Nationalpark Dartmoor ist nur 13 km entfernt. Wir sind weniger als 1,6 km von der Rennbahn Newton Abbot entfernt. Viele Attraktionen sind innerhalb einer 20-minütigen Fahrt erreichbar, darunter der Paignton Zoo, der Crealy Adventure Park, Go Ape, der Haldon Forest & Kent's Cavern, um nur einige zu nennen. In Gehweite befinden sich ein chinesischer Imbiss, ein Fish & Chip Shop, Tescos Direct & Pubs / Restaurant. Our group had a fantastic stay in Lynne and Neil's property! It was spacious, in new or like-new condition, spotlessly clean, and pleasantly well heated during our winter stay. I loved that there was plenty of space in which to lounge and relax, and that the kitchen was well equipped for self-catered meals. Little touches such as the provision of bath toiletries, ample hangers in the wardrobe, and kitchen staples such as coffee, milk, and olive oil also made for a comfortable stay. Lynne was very accommodating and quick to respond to my questions prior to our arrival, so I'm sure one would be in good hands should a problem arise during one's stay. I would highly recommend booking here! The property was spotlessly clean & well equipped. It has a lot of character & charm but with the added bonus of having a lovely modern kitchen & bathrooms. 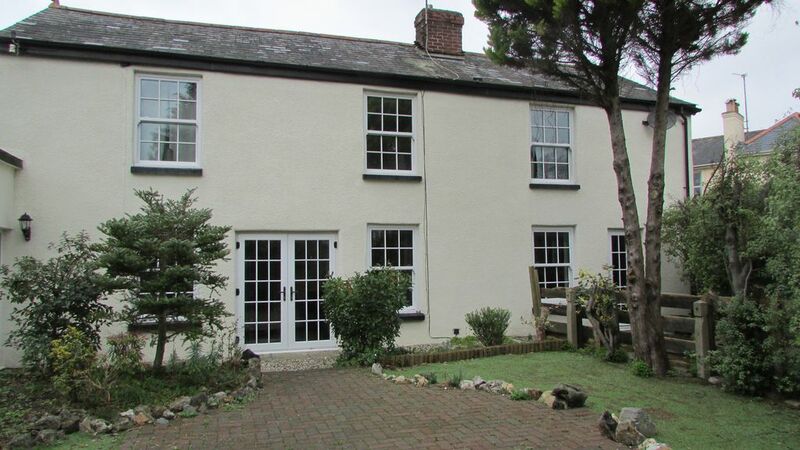 It's a perfect base for exploring South Devon & the host was extremely helpful. I will definitely be coming back with my family for a longer stay.